Nardò is an enchanting city located on the Salento peninsula, facing the Ionian Sea, and praises its antique origins, evidenced by a series of exhibits excavated in the area of the Bay of Uluzzu, where in the caverns (Uluzzu and Cavallo) prehistoric graffiti have been found. Founded by the Messapi (an ancient Italic population), in 269 b.C. the city became part of the Roman Empire until its decline. Over the centuries Nardò submitted the dominations of Byzantine, Goth, Longobardi, Norman, Anjou and Aragon civilizations. The medieval Cathedral in Romanesque style features a spectacular façade, partially damaged in '700 and refurbished at the end of the XIX century. Inside are preserved a valuable black wooden Cross of the XII-XIII century and the remains of some important frescos of the XI-XV centuries. 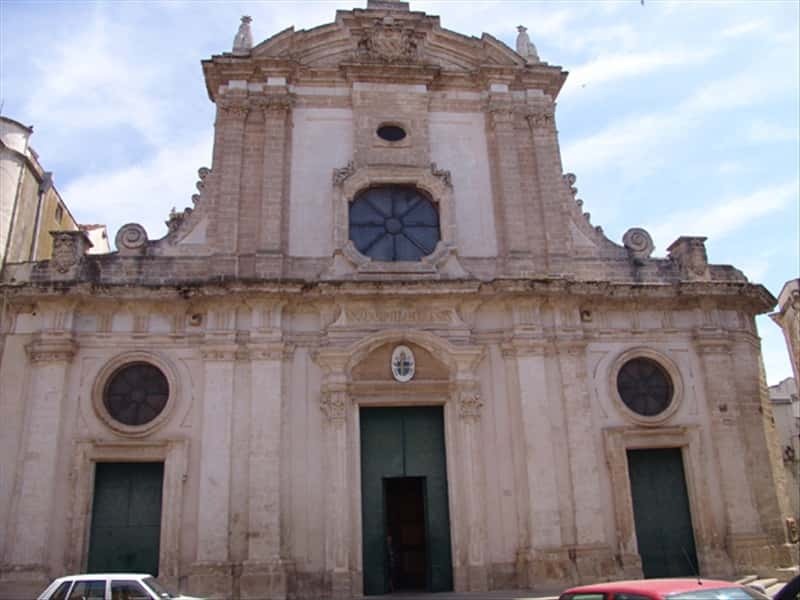 Of major interest are the Baroque churches of San Domenico, Santa Chiara and Sant'Antonio di Padova, il Castello degli Acquaviva, today the seat of the Town Hall, the Piazza Salandra, known as one of the most beautiful Italian squares, with the steeple of the Immacolata at the centre, raised after the earthquake of 1743 and surrounded by enchanting buildings in Baroque style like the palace of the Prefect, the Church of San Trifone and the Sedile, an ancient building, probably seat of the Camerlingus at the University. This town web page has been visited 28,002 times.